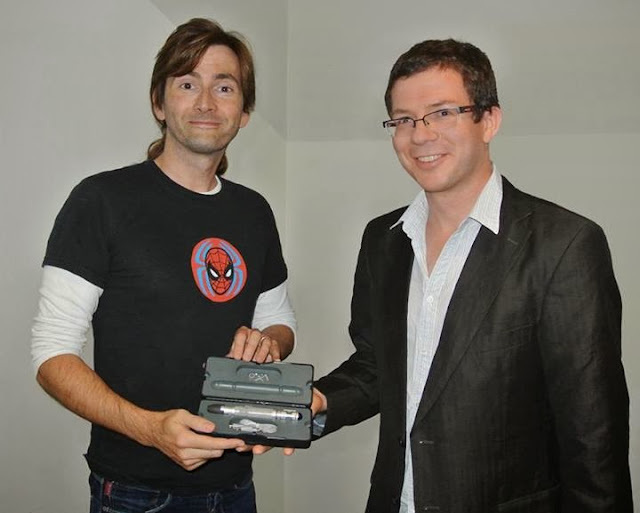 David Tennant was presented with a replica of the sonic screwdriver that he used on screen as the Doctor by product manufacturers The Wand Company. 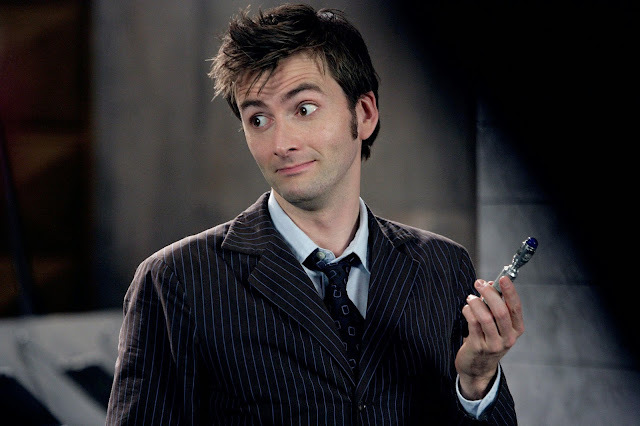 David had lent his own sonic screwdriver, presented to him as he left Doctor Who, to The Wand Company so that they could scan it in order to make the incredibly accurate copies. They were able to present one of the first available replica props to him yesterday at the British Film Institute where he was attending the Tenth Doctor screening in the Doctor Who At 50 season. 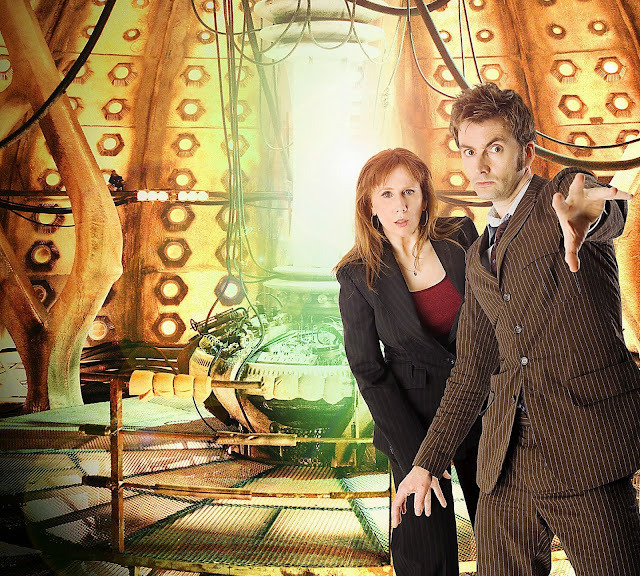 Tenth Doctor's era of Doctor Who will be explored in the next in the season of BBC America specials, The Doctors Revisited. 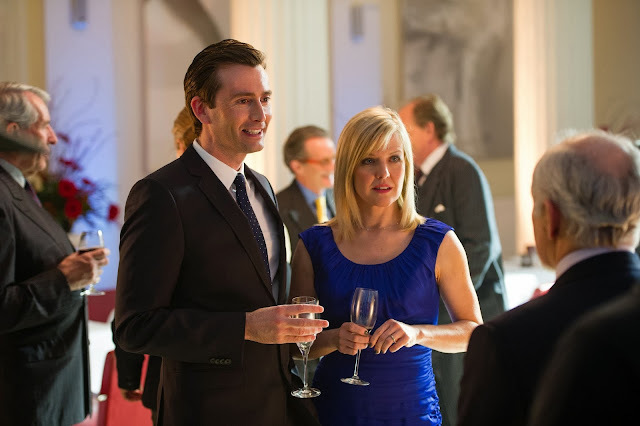 The show dedicated to David Tennant's time in the role will premiere on BBC America on Sunday 27th October. 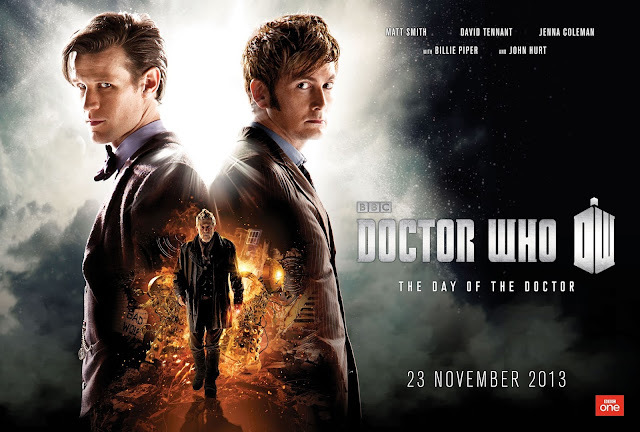 Doctor Who: The Doctors Revisited – The Tenth Doctor premieres Sunday, October 27, 8:00pm ET/PT. 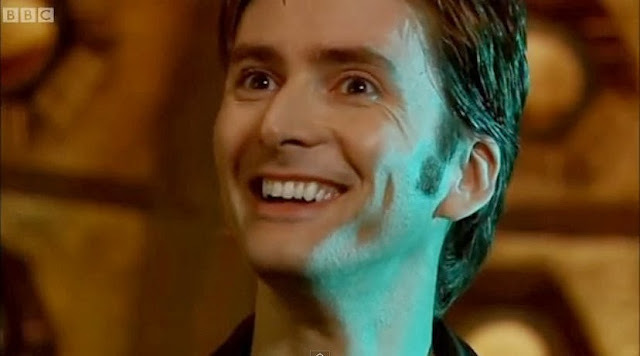 Tomorrow is the start of October and in terms of the countdown to the Doctor Who 50th Anniversary that means it's Tenth Doctor month. Rose awakens on the TARDIS to find the Doctor in pain. He tells her that the act of absorbing the vortex has destroyed every cell in his body. Rose begins to panic as the Doctor tells her that he won't be seeing her again. After musing on what his next body will look like and telling Rose goodbye, he suddenly steps back and bursts with energy from the regeneration process. 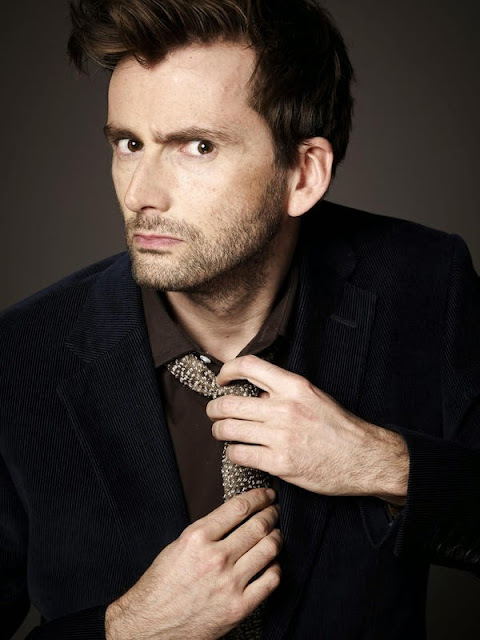 Worldwide TV sales and distribution company Red Arrow International will be taking the new BBC One drama The Escape Artist starring David Tennant to MIPCOM in October. The thriller will be one of the fiction highlights which it will be presenting for sale to international broadcasters, increasing the likelihood of it being shown in other countries. Other offerings include Lilyhammer starring Steve van Zandt (Netflix) and the new adaptation of Roald Dahl's Esio Trot with Dustin Hoffman and Dame Judy Dench. Jens Richter, Managing Director of Red Arrow International said of the company's line up: “What you see is what you get: program brands with a strong vision! Dame Judi Dench, Dustin Hoffman, Stevie Van Zandt, David Tennant – our fiction slate is bursting with incredible talent in front of and behind the camera." 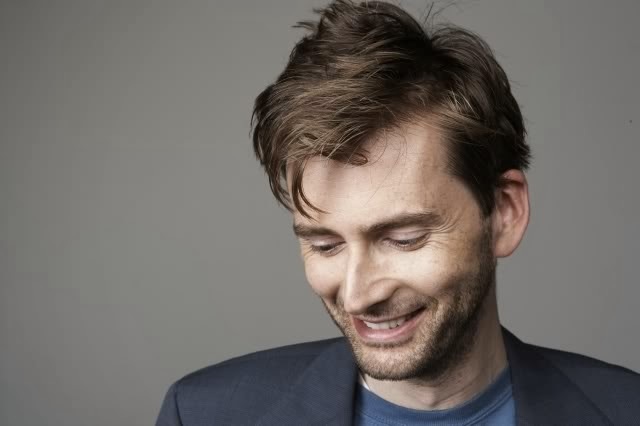 The British Film Institute continued their monthly series of Doctor Who At 50 screenings yesterday as the season reached the era of the Tenth Doctor as played by David Tennant. 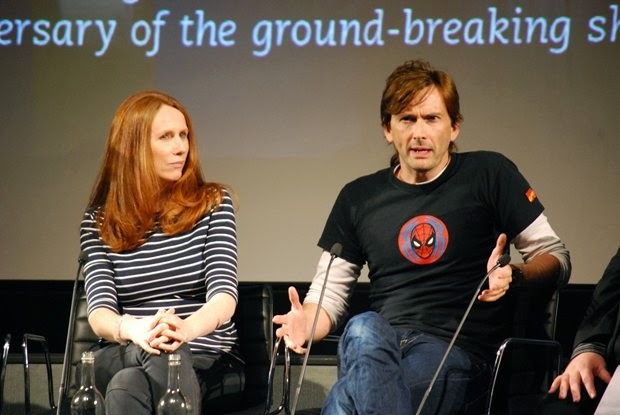 The screening, held at BFI Southbank, was of the fourth series double episode The Stolen Earth and Journey’s End and was followed by a panel consisting of David Tennant, Catherine Tate, Graeme Harper and Phil Collinson. Casting director Andy Pryor was also present to lend his comments. 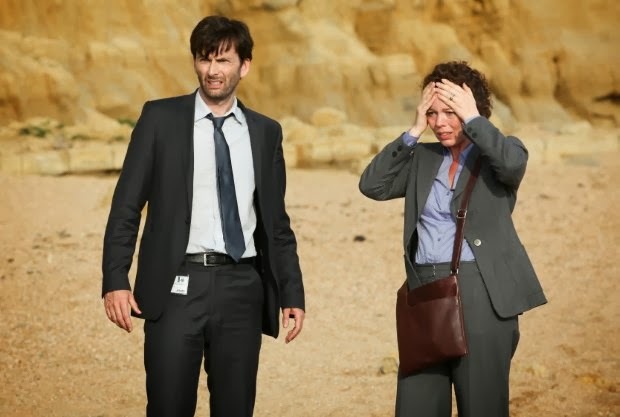 Viewers in Argentina can watch episode 1 of Broadchurch starring David Tennant and Olivia Colman on OnDIRECTV tonight. Broadchurch OnDIRECTV, 21.00 Drama que causó sensación en el Reino Unido. Los detectives Alec Hardy (David Tennant) y Ellie Miller (Olivia Colman) investigan el asesinato de un niño de 11 años en una pequeña ciudad costera. El asesinato trae un frenesí de medios, que amenaza con romper la pza de la comunidad. Broadchurch OnDIRECTV, 21.00 The drama that caused a sensation in the UK. Detectives Alec Hardy (David Tennant) and Ellie Miller (Olivia Colman) investigate the murder of a 11 year old boy in a small coastal town. The murder brings a media frenzy that threatens to break the peace of the community. 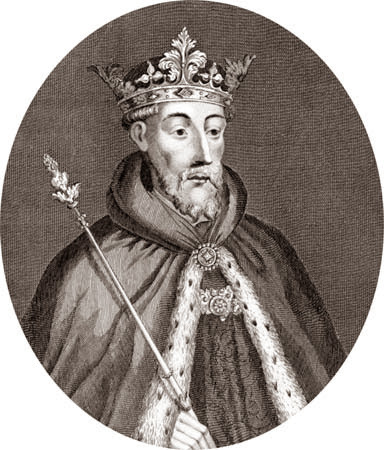 As we look forward to David Tennant's performance as Richard II in the Royal Shakespeare Company's production of the play, we will be taking a look at the play and its characters in a series of articles. From this evening, BBC Radio 4 Extra will be repeating A Night With A Vampire, a series of five short Gothic horror stories read by David Tennant. A new collection of Doctor Who DVDs is released in the UK today. The Monster Collection will focus on several of the Doctor's greatest enemies and each disc will include a classic era episode and a new era episode. When a new author needs to find inspiration, Lucy hits upon the idea to take her and Katie off to a quiet retreat. Daniel sees the chance for a wild lads’ night, but with Andy left holding the baby and Peter in tow, what chance does he have? Listen to Double Income No Kids Yet today at 7.00am and 5.30pm. There is also an early hours repeat at 5.30am on Tuesday morning. The first two episodes of Broadchurch will air on 1TV in Russia late tonight. 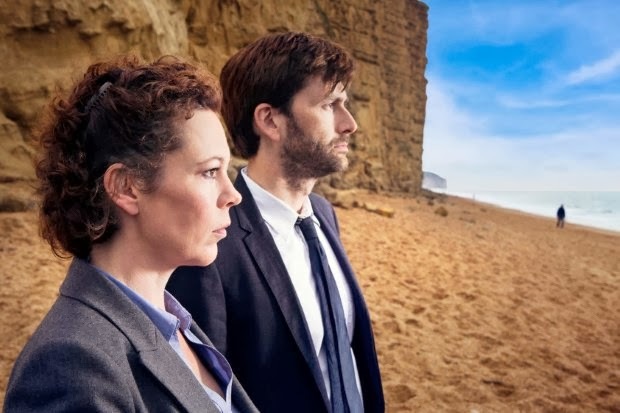 Renamed for Russia as Убийство на пляже (Murder On The Beach), the series stars David Tennant and Olivia Colman as the police detectives who have to find the killer of a young boy in a small town by the sea. 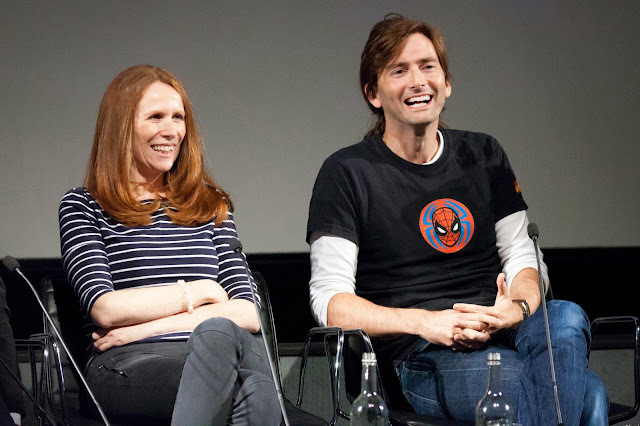 The Radio Times have uploaded photos of David Tennant and Catherine Tate on the post-screening panel at the BFI today with series producer Phil Collinson and director Graeme Harper. 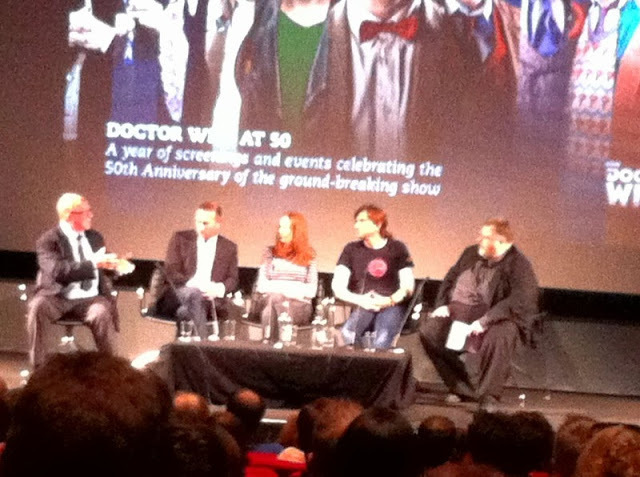 The panel took place following the screening of the double episode The Stolen Earth / Journey's End at the Tenth Doctor event as part of the BFI's Doctor Who At 50 season. The event was the first time David had unveiled a radical new look as he took to the stage sporting lengthy hair extensions, tied back in a pony tail, which he will be wearing during his run in Richard II for the Royal Shakespeare Company, although David jokingly claimed it was to play Limahl in a forthcoming Kajagoogoo biopic! We've just left the BFI on South Bank where we have been attending the Doctor Who At 50 Tenth Doctor Screening and Q&A session with David Tennant, Catherine Tate, Phill Collinson and Graeme Harper. 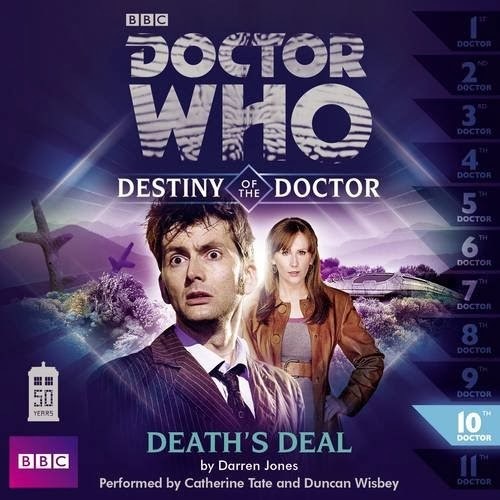 The Tenth Doctor's Destiny Of The Doctor audio adventure is now shipping in the UK from Amazon UK. Free shipping is also available. Responding to multiple maydays, the TARDIS lands on the planet of Death’s Deal, but the distress calls are old, the final echoes of terrified lost souls. This is an exotic world of lethal creatures, nicknamed ‘The Deadliest Planet in the Galaxy’, and only the brave, foolhardy or greedy would ever dare to visit. Finding themselves stranded among a motley bunch of space-tourists, the Doctor and Donna must lead a struggle for survival against the frenzied wildlife, as they slowly realise that other members of the group have very different agendas. And soon the Doctor learns of an even bigger threat hiding on Death’s Deal. Somewhere deep below the surface, is something that must never be unearthed. Time is running out, and only an impossible survivor holds the key… Download the trailer here. Tonight sees the premiere of the latest in the series of BBC America specials exploring each of the eleven incarnations of the Doctor. 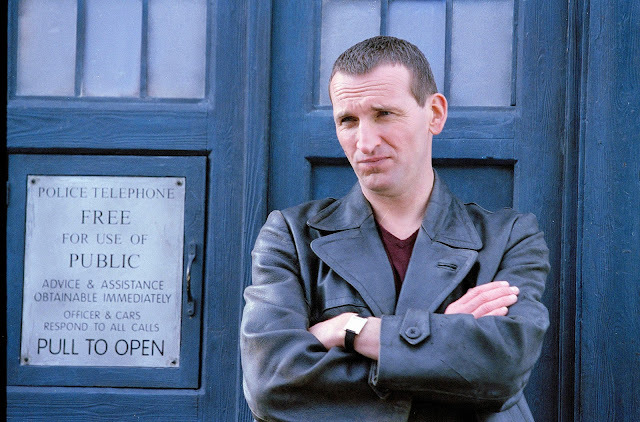 The brand new episode focuses on the Ninth Doctor played by Christopher Eccleston. David Tennant and Catherine Tate will be appearing live on stage for the guest panel following today's screening of The Stolen Earth and Journey's End at The British Film Institute South Bank. The screening makes up the Tenth Doctor event as part of the BFI's year long celebration, Doctor Who At 50, which has marked the programme's anniversary with a regular series of events. Other confirmed guests include director Graeme Harper, producer Phil Collinson and casting director Andy Pryor. We'll be there, so look out for updates from us via @davidtennantcom on Twitter! The Q&A will be uploaded to the BFI YouTube channel for fans who were unable to get tickets for the event to view. The BBC also unveiled two TV stings on either side of their new BBC One fantasy series Atlantis. The clips revealed little more than the ident, broadcast date and hastag, with John Hurt intoning the episode title over the opening bars of the Doctor Who theme. 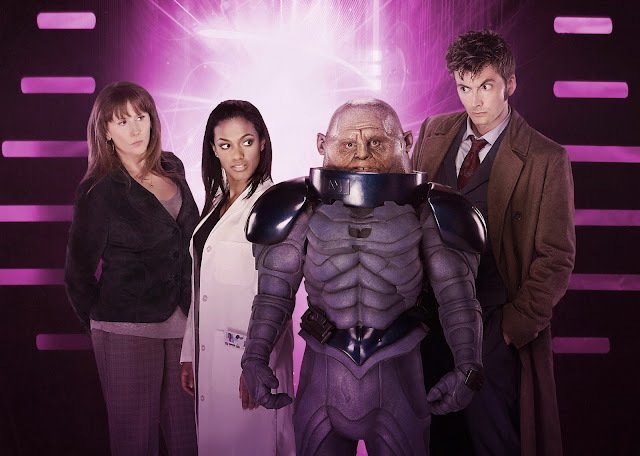 The BBC assure viewers that the long awaited trailer is currently in production, and with just eight weeks to go until the anniversary there will be several more surprises on the way.